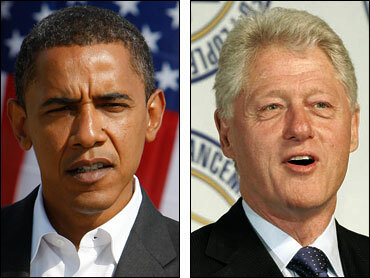 Democratic presidential candidate Barack Obama plans to lunch with former President Clinton this week in what will be their first extended face-to-face meeting since the bitter primary season. Obama intends to meet Mr. Clinton for a private lunch Thursday at the Clinton Foundation headquarters in New York City, Obama spokesman Bill Burton said Sunday. Obama will be in New York that morning for a memorial ceremony at Ground Zero, where he will appear with Republican presidential rival John McCain to commemorate the seventh anniversary of the Sept. 11 attacks. Mr. Clinton extended the invitation after he learned Obama would be in town, Burton said.